With enhanced biocompatibility, Glycerol Methacrylate (GMA) uses Mucin, the naturally-occurring glycoprotein contained in the tear fluid. This contributes to surface wettability, comfort, and eye health. Unsurpassed on-eye moisture retention, GMA-HEMA copolymer contains hydroxyl (OH) groups that allow water molecules to bond tightly to the surface of the polymer, giving it outstanding water retention properties. 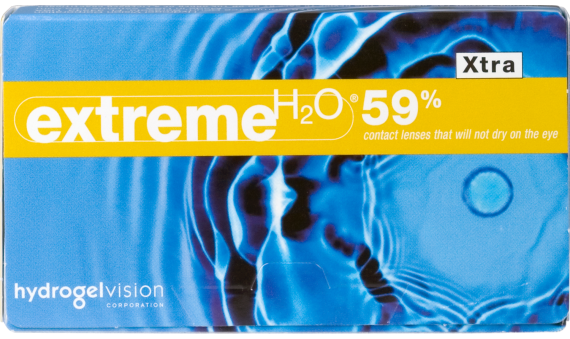 The Extreme H2O® 59 Percent loses less than 1 Percent of its water content on the eye after 12 hours of wear. 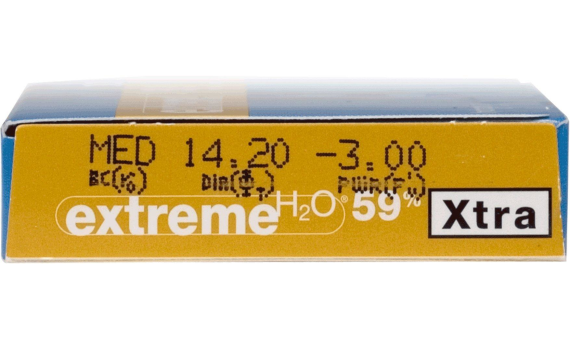 Extreme H2O® 59 Percent is made with a Group 2 non-ionic material that resists unhealthy protein deposits, compared to Group 4 ionic materials that are known to bind protein deposits.